Mt. 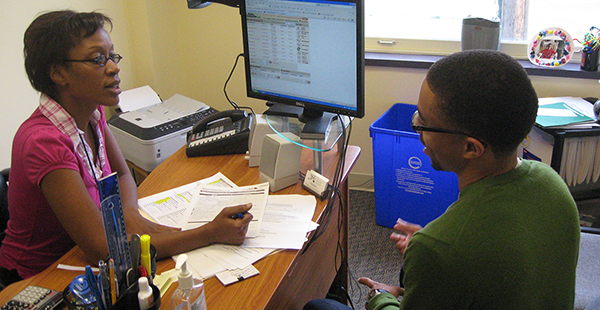 Airy CDC’s Housing Counseling Program delivers high-quality services to low and moderate-income first time homebuyers and existing homeowners. Our goal is to turn clients into successful homeowners by educating them about the home buying process, helping them develop a detailed work plan, assisting with setting up a tax agreement, and providing access to financial resources for home repair, maintenance and emergency mortgage assistance. Our program also aims to bolster the financial savvy of those consumers by helping them avoid foreclosure, predatory loans and disreputable home contractors and to repair damaged credit. Our housing counselors work with Pennsylvania residents in several programs, including foreclosure prevention, first time homebuyer’s workshops and one-on-one counseling, post-purchase counseling, and home improvement and energy workshops. In the past year, despite funding cuts, we have started two new initiatives in our Housing Counseling department. Our new Financial Literacy Education program involves a series of workshops on smart banking, borrowing and loans, credit cards, checking, financial recovery, healthy credit, and home ownership. Our housing counselors have also been working with senior citizens in Pennsylvania to educate them on reverse mortgages (HECMs). This initiative provides an easier and more stable way for seniors to live more comfortably by making some home repairs and paying off other debts without the worry of a monthly payment.